From October 5 to 10, China held its first-ever national level import trade fair, the China International Import Expo (CIIE) – perhaps even the world’s first – in Shanghai, which features a melting pot of East-meets-West culture. Altogether, 3,617 companies from 151 countries and regions showed off their products and services. Contracts worth US$57.83 billion were reached at the Expo, according to organizers. The significance of the Expo goes beyond these numbers. 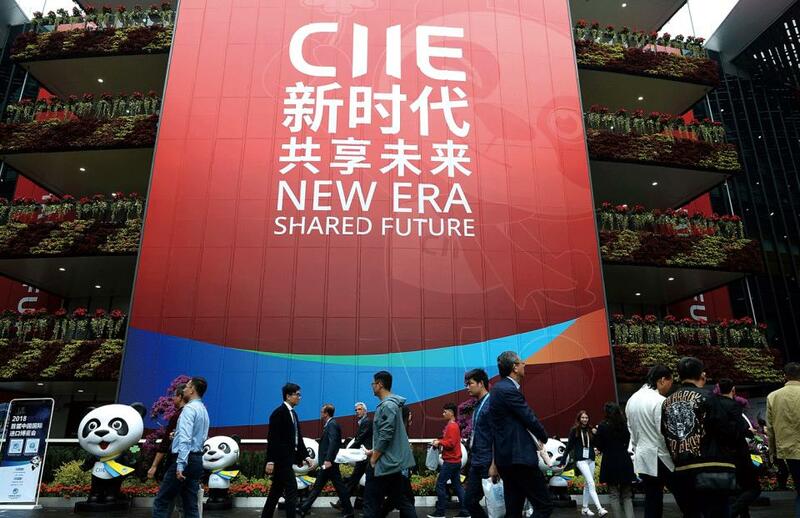 Observers say the CIIE is a milestone for a country in which exports were the major contributor to its rise to become the world’s second-largest economy. The CIIE signifies “a major policy for China to push for a new round of high-level opening-up and a major measure for China to take the initiative to open its market to the world,” Chinese President Xi Jinping said in his keynote speech at the opening ceremony. China’s commitment to globalization at the Expo is prominent, particularly as it comes against a background of rising protectionism and unilateralism that challenges international free trade. In 2017, it imported US$1.8 trillion in goods, 16 percent higher than in 2016. 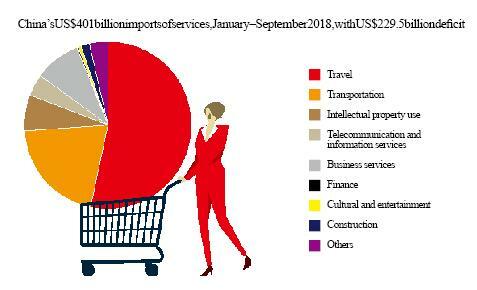 Xi announced that the value of imported goods and services are estimated to exceed US$30 trillion and US$10 trillion, respectively, in the next 15 years. Meeting the growing domestic demand for better quality products and services is increasingly important for China’s economy, which faces pressure from an economic slowdown as it transitions to a more consumption-oriented growth model. In the past several years, domestic demand has grown rapidly. More Chinese consumers are turning to foreign brands through cross-border e-commerce platforms and as they travel overseas. Meanwhile, more imports are also expected to stimulate the upgrading and innovation of Chinese companies through competition and input from foreign brands. In the early years of reform and opening-up, China needed to boost exports as a means to transform from a planned economy to a market-oriented economy, Zhang Yansheng, chief research fellow with the China Center for International Economic Exchanges, told NewsChina. 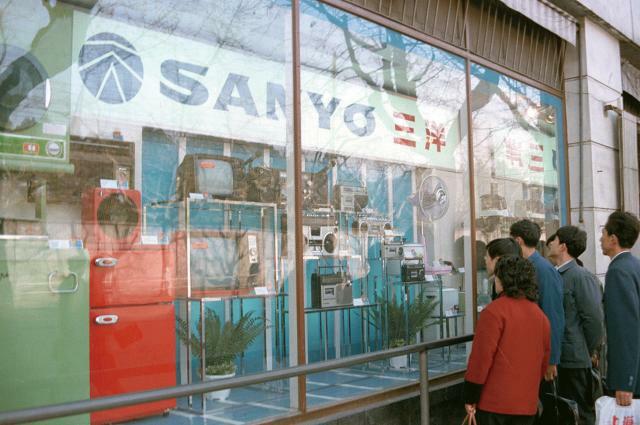 “It was only through exporting that we learned how an order was made in the market economy and the logic behind the operation of capital, logistics and sales,” Zhang said. Chinese exports grew rapidly, especially in the decade since China joined the WTO in 2001, and this resulted in the country’s large trade surplus with other nations. However, there have been consequences from running such a large trade surplus, including frequent trade conflicts with other countries, inflationary pressure on the domestic economy and lingering expectations over the appreciation of the yuan. Besides, relying too much on exports made China vulnerable to global fluctuations, a harsh lesson China learned in the global economic crisis of 2008. Realizing the problem, China has tried, since 2007, to promote balanced trade by increasing imports while stabilizing export growth. Tax rebates for some exports were reduced or annulled in 2007, and tariffs on more than 700 categories of imported goods were lowered in 2012, including on goods like coal and infant formula. By the end of November, China had already cut import tariffs four times in 2018, covering thousands of products, including vehicles and medications, which effectively cut prices on consumer goods that people use in their everyday lives. This has reduced the overall tariff rate from 9.8 percent in 2017 to 7.5 percent in 2018. 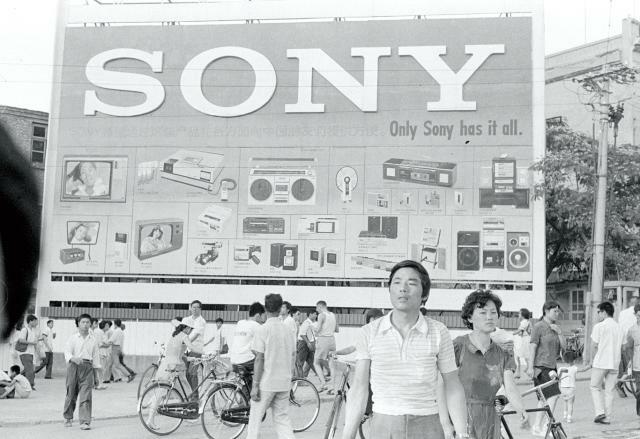 The type of goods China imports has changed over the years to facilitate the country’s economic takeoff. Commodities for industrial production, like steel, accounted for 81 percent of China’s total imports in the 1970s. In the 1980s, the import of manufactured products rose, and that of commodities for heavy industry declined rapidly. In 2001, the importation of capital-intensive and technology-intensive goods accounted for 57.8 percent of total imports, while labor-intensive products made up 23.4 percent. Between 2012 and 2017, imports of manufactured goods, mainly electro-mechanical products and high-tech products, consistently grew. In the past decade, the importation of consumer goods such as vehicles, household appliances, watches and perfume surged, showing a shift of focus on production to livelihoods. 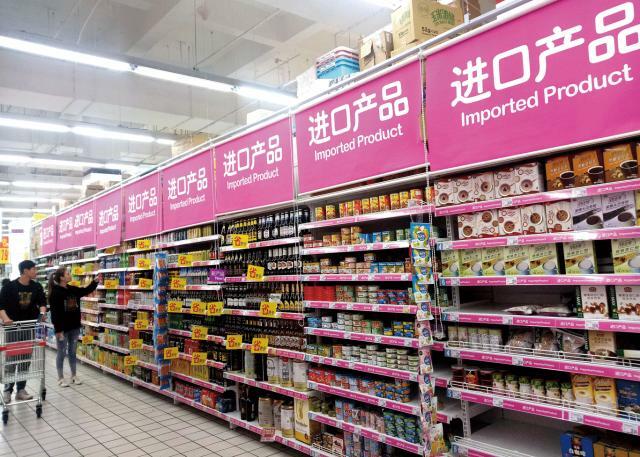 Imports of high-end consumer goods, like medicines, floor mopping robots, jewelry, cosmetics and dried fruits climbed, signifying China’s increasing consumption power. China is now the biggest exporter and the second-largest importer in the world. Wei Jianguo, former minister of China’s Ministry of Commerce, told NewsChina that increasing the level of imports is a necessary step for China to transform from a big trading country to a powerful trading country. Coffee from Ethiopia, jade from Myanmar, 3D teeth printers from Germany, the world’s first-ever Nuclear Magnetic Resonance Spectrometer for infants – the myriad of quality products exhibited at the CIIE are expected to satisfy Chinese people’s increasing demands for a better lifestyle. Expanding imports will stimulate domestic consumption, which has grown to become a major driver of the Chinese economy in recent years. In 2015 and 2016, when China’s foreign trade declined for two consecutive years, the robust domestic market played a key role in offsetting the impact from shrinking foreign demand. In the first three quarters of 2018, consumption expenditure accounted for 78 percent of China’s GDP, 14 percent higher than the same period of 2017. 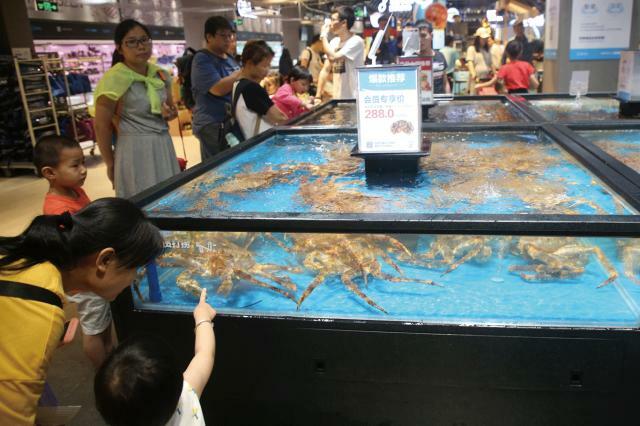 Chinese consumers are not only spending more in total, but they are also spending on more expensive products and services, a trend described as “upgraded consumption.” During the 12 months to mid-2018, China’s household wealth amounted to nearly US$52 trillion, the second-largest in the world behind only the US, according to the Global Wealth Report 2018 published by the Credit Suisse Research Institute in October. Social retailing of consumer goods in 2017 rose to 36.6 trillion yuan (US$5.3t), a year-on-year increase of 10.2 percent from 2016, with 7.2 trillion yuan (US$1t) in online retailing sales, according to the National Bureau of Statistics of China. demand, with consumers becoming more discerning and diverse as living standards have improved. From 2010 to 2016, imports of consumer goods were above 10 percent of overall imports. In 2017, trade volume through cross-border e-commerce platforms reached 90.2 billion yuan (US$13t), a year-on-year increase of 80.6 percent, among which 56.6 billion yuan (US$8.1t) went on imports, an increase of 116.4 percent over last year, Yu Guangzhou, former director of China’s General Administration of Customs said at the First Global Cross-border E-Commerce Conference in February in Beijing. During this year’s Alibaba-led Double 11 Singles’ Day shopping spree, for example, Chinese customs cleared 10 million items bought that day by 9am on November 11, 10.5 hours faster than last year, according to data from Cainiao Network, Alibaba’s logistics data platform operator. Expanding imports is also expected to bring new dynamics to Chinese industries. It is generally believed that introducing in intermediates (semi-produced goods), advanced technology, standards and management experience will help with the upgrading and optimization of China’s industrial structure and help cultivate new industries. domestic companies and force them to improve efficiency and innovation. “China’s opening-up in the past 40 years has proved that introducing advanced technology and equipment is an important channel to stimulate the updating of the domestic industrial structure and enhance competitiveness,” Xu Mingqi, vice director of the Institute of World Economy at the Shanghai Academy of Social Sciences, said at a dialogue on the meaning of the CIIE held by the Shanghai-based Wenhui Daily and the Shanghai Institutes for International Studies in June. He added that the trade in patents and other technologies will be of great significance to reinforce an economy’s competitiveness and industrial upgrading, particularly when intellectual property protection is being strengthened globally. There have been worries that the flood of foreign products and services might squeeze many domestic companies out of the market and thus drag the growth rate down. Zhang Yuyan, director of the Institute of World Economics and Politics, Chinese Academy of Social Sciences, recognized that it is necessary to balance the short-term pains and long-term benefits. “Some companies and their staff might be affected by higher levels of imports when competition becomes fiercer. But this short-term impact could be minimized with proper policies to help vulnerable groups, such as training,” Zhang told NewsChina at the CIIE. “In the long term, competition will result in prosperity. New technologies and management experience will come alongside higher levels of imports. It is a new opportunity for China to achieve growth through innovation at this key point,” he noted. better imports and more investment, but it can only be achieved through legal reform. AstraZeneca had five new medications approved. More than 10 new medicines targeting diseases like cancer and anemia will be on the shelves in China in three to five years,” Leon Wang, International and China President at AstraZeneca, a British-Swedish pharmaceutical company, told NewsChina at the CIIE. Still, there are doubts over whether China’s domestic market is robust enough to withstand a large-scale influx of imports. After all, imported products, particularly those related to consumption, need to be backed by consumer spending power. Efforts have been made in raising individuals’ incomes and therefore purchasing power, by raising the threshold of taxable personal income from 3,500 yuan (US$504) to 5,000 yuan (US$720) per month from this October. But year-on-year growth of per capita consumption expenditure of urban residents, an index of residents’ spending power, has dropped continually for six quarters since early 2017. Zhou Xiaochuan, governor of the People’s Bank of China, the nation’s central bank, warned at a forum in Zhejiang Province on November 2 against the fast rise of consumption credit, which may indicate that the younger generation is borrowing too much to spend on consumer goods. He also expressed concern over the decline in the household savings rate. Indeed, the high mortgage repayments that many Chinese households have to pay have also caused worries among analysts due to a lower potential for consumption of goods and services. 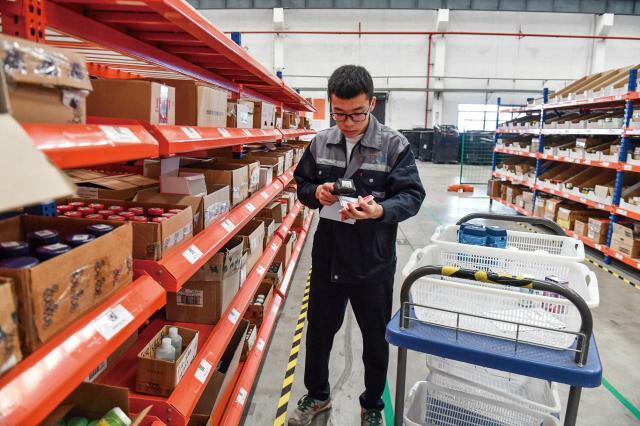 What’s more, Li Xunlei, an economist from Zhongtai Securities, a Chinese security company, pointed out in an article published on his WeChat public account in October that the challenge also lies in how to cope with the relationship between increasing imports of high-tech products and encouraging independent innovation. “It will be an inevitable and important challenge for Chinese companies to really get internationalized and sharpen their competitiveness globally,” Zhao Ping, director of the international trade research department under the Academy of China Council for the Promotion of International Trade, said in an interview with The Beijing News on November 9. She suggested that China should pay more attention to the upgrading of its domestic industrial structure and increase imports of high-grade and sophisticated products to meet the demands of the development of the Chinese economy in this new era that stresses quality. Great waves sweep away sand, but gold remains, a Chinese saying goes. It is Chinese companies and consumers that will decide whether China will succeed in importing new dynamics of growth as well as cars and cosmetics.